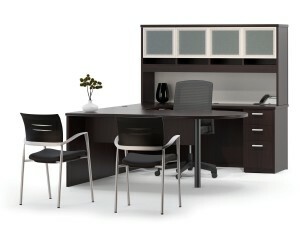 By furnishing your workspace with remanufactured office furniture, you can save your business in the Tampa, Florida, area, a great deal of money while also being eco-friendly. Instead of spending large sums of money on brand new furniture, you can extend the life of perfectly good furnishings that won’t leave a hole in your wallet. Additionally, our skilled technicians can deliver and install all of your furnishings for you so that you can keep focusing on running your business instead of worrying about any of the heavy lifting. We can also liquidate any unwanted pieces of furniture in your office and even recycle eligible items for you, which can result in your business receiving a tax credit. For more information about the great selection of remanufactured office furniture we have available, contact Reusable Office Interiors today. One of our specialists is available to answer any questions you have and can tell you more about all of the excellent products and services we offer to business owners in Tampa, FL, and surrounding cities.